A heart transplant is the surgical replacement of a patient’s diseased heart with a healthy donor’s heart. The donor is a person who has died and whose family agreed to donate their loved one’s organs. Now heart transplant is an established treatment for the advanced heart diseases. Around 2,300 heart transplants are done each year in the US. A heart transplant is done on a patient with severe heart failure such that they don’t respond to any other therapy, but otherwise the person is healthy. The leading reasons why people receive heart transplants are severe coronary artery disease with scarred heart tissue from a heart attack, dilated cardiomyopathy and birth defects of the heart. People with advanced or end stage heart failure but are otherwise healthy are considered for a heart transplant. To get a heart transplant, first you must be placed on a transplant list. Before that you must go through a careful screening process. A team of heart doctors, bioethicists, nurses and social workers will review your medical history, social history, psychological test results and diagnostic test results to see whether you are able to survive the procedure and then comply with continuous care required to live a healthy life. Once approved, you must wait for a donor to become available. This process can be very long and stressful. A supportive network of friends and family are needed to help you through this time. Your healthcare team will monitor you closely to keep your heart failure in control until a donor heart is found. The hospital knows where to contact you at all times once a heart become available. Organ donors for heart transplants are those who become brain dead which means although their body is being kept alive by machines, the brain has no sign of life or those who have died recently. Often these donors died as a result of a card accident, a gunshot wound or a severe head injury. Generally, donors give their permission for organ donation before their death. The donor’s family must also give consent for organ donation at the time of the donor’s death. Unfortunately, not enough hearts are available for transplant since at any given time, almost 3,500 to 4,000 people are waiting for a heart transplant. A person may have to wait months for a transplant and more than 25% do not live enough to receive a new heart. Most donor families feel a sense of peace knowing that some good has come from their loved one’s death. 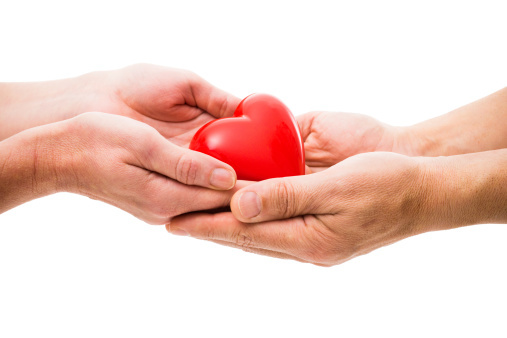 Once a donor heart become available, the surgeon will harvest the donor heart and the heart is cooled and stored in a special solution while being taken to the recipient. Before the surgery, the surgeon will ensure that the donor heart is in good condition. During a heart transplant, the patient is placed on heart-lung machine which allows the body to receive vital oxygen and nutrients from the blood even though the heart is being operated on. Surgeons will then remove the patient’s hear except for the back walls of the atria. The backs of the atria on the new heart are opened and heart is sewn into place. Then they will connect the blood vessels which allow the blood flow through the heart and lungs. As the heart warms up, it begins beating. The surgeons will check all connected blood vessels and heart chambers for leaks before removing the patient from a heart-lung machine. This is a complicated operation lasting four to ten hours. Most patients are up and around within few days post surgery. If there are no signs of the body immediately rejecting the organ, then patients are allowed to go home within a week or two. The risks associated with heart transplants are infection and rejection. Patients on drugs to prevent rejection of the new heart are at risk of high blood pressure, kidney damage, osteoporosis and lymphoma. Coronary artery disease develops in almost half of the patients receiving transplants. Organ rejection happens when the body’s immune cells recognize the transplanted heart as different from the rest of the body and attempts to destroy it. Patients will receive immunosuppresants to prevent rejection. However, excess of these drugs can lead to infection. Heart transplant recipients will be monitored carefully for any signs of rejection. Heart Disease and Obesity – What Do We Know About It? «What Eye Problems Look Like? Woah! I’m really digging the template/theme of this site. It’s simple, yet effective. A lot of times it’s tough to get that “perfect balance” between usability and visual appearance. I must say you’ve done a amazing job with this. Additionally, the blog loads very quick for me on Safari. Outstanding Blog!